Worryingly, almost one in four young people today will experience depression before they are 19- years-old, according to the NHS. In fact, most children and young people will be emotionally or mentally affected by things that are out of our control at some point in their lives. But while we can’t protect them from everything life throws at them, we can ensure our children have the right tools to help them deal with it. And you guessed it, exercise is one of those very important tools! 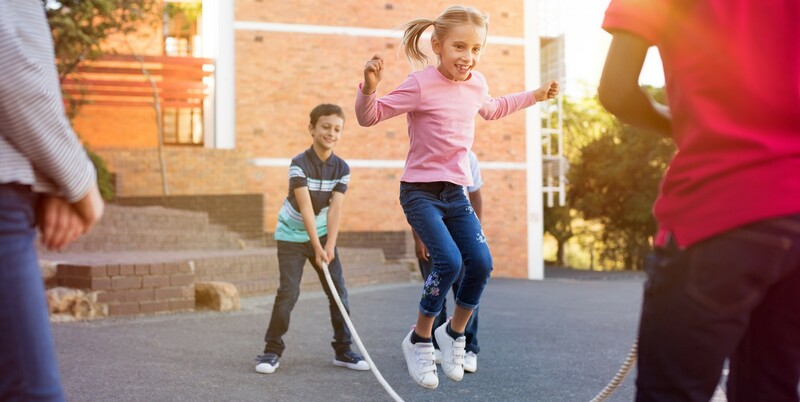 Staying active is a great way to ensure that kids are not only physically fit, but also ensures they are mentally stimulated and supported too. Exercise is effective in helping reduce fatigue, improve concentration, boost alertness and enhance your child’s brain’s general function. It also encourages the production of ‘happy chemicals’ – endorphins – which will naturally boost their mood. People often talk of a ‘runners high’, but this can actually be achieved through any moderate exercise that helps your heart beat faster, increases your breathing rate and makes you feel warmer. Endorphins also act as the body’s natural painkillers, which means regular movement can help soothe any stress that manifests itself through physical pain, such as headaches and stomach aches. A good night’s sleep is essential for kids to grow and develop, but stress, depression and anxiety can often disrupt it. Exercise won’t cure them of their troubles, but it has been proven to significantly improve sleep quality which can in turn make them more prepared for the day ahead. Ensure your children is are getting enough exercise, particularly over the weekend, by encouraging them to take a break from the tv, tablets or mobile devices. If they aren’t members of sports clubs, take them to the park or go for a run, or you could get into the habit of going for a run or talking the dog for a walk in the evening before bed. By the time your children are of school age they should be sleeping around 11 hours a night. This figure decreases in 15 minute increments for each year that follows, with 16-year-olds expected to be sleeping for around nine hours. Taking part in group exercise – whether it’s with the family or a sports club – is a great way to ensure your kids are getting enough exercise as well as making them feel trusted, supported and safe. There are opportunities around almost every corner for kids of all ages, with football, netball, basketball, hockey and badminton all great ways of ensure your children are active and feel valued. If your child finds team sports daunting or unappealing, it’s worth checking out martial arts clubs, tennis or swimming teams, which are less imposing but still require discipline and a strong sense of team spirit. Talking, sharing and socialising will also help your children destress. So, taking part in a sport – whether it’s joining a pal in the gym or competing with a team or enjoying a family day out – will give your children the opportunity to talk about how they are feeling without feeling pressured. Being enthusiastic about a sport or activity will give your child something to focus on, which could be especially important if they are struggling with things which are happening in their life at home or in school. Giving them the opportunity to succeed is hugely important as it will help your child feel valued and give them a sense of well-being. Of course not all children are ‘sporty’, and like many adults, the idea of running around for an hour is not appealing. But family bike rides, walks and trips to the park will all help lift spirits. Kids are often more receptive if walks have a purpose. Look for a landmark to find or celebrate reaching the top of a hill in a specific time will give them a sense of achievement. Geo-caching – where you look for coordinates using a mobile phone app – is another great solo or team activity where your children can challenge themselves mentally and physically. There are plenty of activities such as Yoga and Tai Chi which are specifically designed to relax both the body and mind. Children are welcome in most classes of this type, with some gyms and leisure providers having specific child friendly groups. But don’t dismiss other sports too rapidly in terms of their ability to ‘ease the mind’. The repetitive movements in tennis, swimming lengths and kicking balls, for example, can be meditative and help your child relax. Most children grow up mentally healthy, but there is no denying the fact that children and young people today have more problems with their mental health than 30 years ago. So while the tips offered here will help, it is also important to be aware of markers which could indicate that your child is struggling and may be in need of additional support. You should seek advice from a GP if your child has a low mood that doesn’t go away, isn’t interested in things that they used to enjoy, feels tired and exhausted all of the time, is having trouble sleeping, or has a change in eating habits and is unable to relax.